... who says "Putting a loaded gun into a holster is the single most dangerous thing anyone ever does in a professinal firearms training class." I do agree with both Cornered Cat and Tactical Professor. Both IDPA and IPSC/USPSA are great training grounds for pistol competitive shooters. After 30+ years of competitve shooting, both as a competitor and as a Chief Range Officer, I've seen more experienced competitors endanger themselves during the draw, than while holstering their pistols. That's Anxiety. It's not training, nor necessity. I usually cringe when I hear "politically correct speech" terms such as "community". It's like a buzz-word, and has connotations of people sitting around doing macrame' while singing Kumbaya. Which is okay in its place, but I've never been much into quilting bees and such. Which is why I realized that an IPSC match is very much like a quilting bee ... only, like, more competititive than "a communal effort". Competition is either a team effort or an individual effort. Never having enjoyed spectator sports (what's the attraction in watching someone else play???) and having been a skinny kid, I never went in for team sports. Oh, I was on the Shooting Teams in Junior High, High School and College. And some in post-war adulthood. But that's still the accumulation of individual efforts. Essentially, the people on the "team" from one match to the next (this was gallery rifle and outdoor small-bore competition) were those who had fared best in previous matches, many of which were postal matches. Today I attended an IPSC (USPSA) match, for the first time in about a year. For various reasons, I have not been competing for the past couple of years. Those times I did show up for a match, I often quit early. That's the motto of the New York Times, and today The New York Times one again shows its true colors by coloring its opinion according to their radically leftest political bent, In doing so, the Newspaper of Record reveals itself as being inimical to the Constitution of the country which it purports to love. That Constitutional Amendment was designed to protect z?Unpopularz" (or "Provative") Speech .. by restricting its ability to pass a law against it. The New York Times can say anything it wants to about Pamela Geller and her statements. And Pamela Geller can say anything she wants to about ... anything. The American Government is not a partner to the dialogue. Unless you consider the NY Times a partner to the Obama Administration. In CIMARRON COUNTY, Oklahoma, surviving family members are without the political power to to stop prairie dogs from digging up the graves of their ancestors. Bones are being brought to the surface by the rodents. Surviving family members are pissed. They can't shoot 'em, the can't poison 'em. ” The U.S. Fish and Wildlife Service recovery plan for the black footed ferret is expected to cost over $150 million by 2040." “Out of the 71 trained soldiers 23 have signed up for missions like Sunday, We are increasing in number bithnillah. 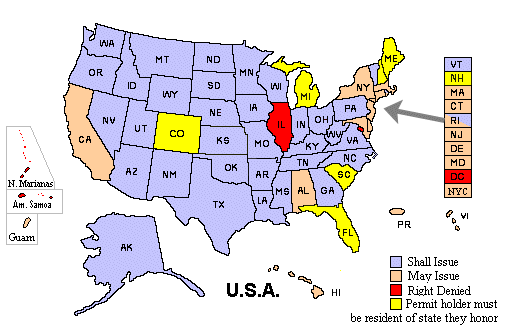 Of the 15 states, 5 we will name… Virginia, Maryland, Illinois, California, and Michigan,” the posting continues. Interesting: we have a lot of states with strong gun control laws, and those are are ares which are threatened? I just watched a Fox News video where we (individual citizens) are encouraged to protect ourselves. That seems entirely reasonable to me. Unfortunately, people in some states ( Maryland, Illinois, California and Michigan including others such as New York and New Jersey smf D.C.) will have problems protecting themselves when they have no guns because their LEGAL access to personal firearms is highly restricted by state/district law. VIRGINIA: What they really mean is DC. Strong resistance to apportioning Concealled Carry Licenses. Nobody likes guns except for (a) gangbangers and (b) those who want to defend themselves against gangbangers. MARYLAND: See Virginia. Read: BALTIMORE. ILLINOIS: Stay out of Chicago, ISIS. The only ones with guns there are the gangbangers, but they ALL have guns. Chi-town is just pleased as punch when they only have 499 murders per year within the city limits. Recommend you look at MORTON GROVE. CALIFORNIA: Making strong inroads toward restricting "authorized" ownership of many most all firearms, because SAFETY. Wide open to illegals of all sorts; y'all stop by y'hear? MICHIGAN: Thoroughly democratic to the point where they're almost as opposed to anyone owning a firearm as they are opposed to electing a non-Democrat to any public office ... right down to the Commissioner of Police in any major city ... both of them. Avoid DETROIT; Nobody there has a job or any money, but they all have guns and they have nothing to lose. Still .... we know what Colorado citizens said when their Governor started demanding restrictive firearms laws: Shall Not Comply. This is a new trend, and the timing is right because if ISIS Assholes Warriors start invading any Shall Not Comply state, they may discover that the police are as reluctant to enforce gun-control laws as the citizens are reluctant to obey those laws. Politicians be damned, this is a true American State and the 'whole' population will not be ruled by the namby pambies who occupy Denver like a plague of locusts. American Democrats hav always been just a little bit ... iconoclastic. They think that 'cherished beliefs and traditions' are based on "error, superstition, or lack of crativity". Not at all. We're still pioneers in America, and we won't be ruled by Geneva. American Conservatives "cleave to their guns and their God" (the nicest thing that President Obama has ever said about Conservatives), and not are so much invested in "Hope and Change". In a very quirky way, this latest threat from the Muslim Fanatics serves to validate the Second Amendment. Maybe the Second Amendment is the first bulwark against not only an American leadership gone wrong, but also against foreign intervention. President Obama proclaimed May as Older Americans Month, continuing a 52-year tradition since this month of recognition was first established by President John F. Kennedy in 1963. The original article went on to talk about ... 1963. Screw that; the folks that wrote it don't know about `63. I also remember where I was when the California Earthquake scared the crap out of my neice ... who was in Oakland at the time. I remember where I was when the Twin Towers fell. I remember where I was when the feds were shooting citizens in Waco, and Ruby Ridge.. I remember where I was when ... oh hell, you can list as many incidents as I can. The bad thing is, that I remember more than I would choose to, had I been given a choice. Amd yes, I do realize that Obama was not in office during ANY of these "incidents". Fortunate Son, that he never had to deal with a REAL National Crisis. This is all reminiscent of the 19450's and '60's/ Lots of Hope, but no real Change! Except that Obama is no Eisenhower. Pappy Boyington: "Ba Ba Black Sheep"
"Oh, the whole damned thing was Hollywood, but I guess that's showbiz. Yes, there was a Brig. Gen. James Moore, chief of staff of the 1st Marine Aircraft Wing, and he was a real stand-up guy. He took care of us and kept Lard off our backs. Lard [Lt. Col. Joseph Smoak, operations officer of Marine Air Group 11] was a real bythe-book Marine, but unlike most of the characteristic backstabbers, he had pulled his time when it counted. He had served in China, and I respected him for that. I was simply the kind of officer he could not understand. I have no ill will toward him or anyone." Grace Lee Whitney, who played Captain Kirk's assistant on the original "Star Trek" series, has died. She was 85. Star Trek remembers Yeoman Rand, as do we. ...... But while soldiers were getting free meals from Whole Foods, an [sic] some on social media pointed out that many children who regularly receive free or reduced-price school meals went without lunch on Tuesday since all public schools were closed. It didn’t take long for outraged users across all social media platforms to hit back at the upscale grocery chain for their apparent “tone-deaf” attitude toward the community. TANSTAAFL: "There Ain't No Such Thing As A Free Lunch"
Let this be a lesson to you, Children: Liberals want everything to be free. Because you will pay for it. And after they become accustomed to sucking on the public teat the freebies that you pay for, if you don't pay for it for even as much as a single day ... you will have become a MEAN PERSON because LIBERAL. I have no idea how one man can get his foot stuck in a basketball hoop. Self-Guided Bullets ... no, really! Holy Moly, Batman! Was it only a couple of days ago (April 28) that I was joking about curving bullets? I guess the folks at DARPA are reading my blog .. no wonder my stats are up this week! I'm going to use this as my Primary Alibi at my next IPSC match. Damn EXACTO bullets! The target wasn't moving, no wonder I missed it. Two suspects were killed and a security guard was shot outside a "Draw Muhammad" contest in Garland, Texas, police told NBC News. Apparently, some reader mis-punctuated "Draw Muhammad" and thought it meant "Draw, Muhmmad". So they accepted the challenge, drew and shot down a security guard. Even though "... The event was heavily policed with up to 40 extra officers assigned at a cost of $10,000 to the organizers", some idiots still made their way through the Wall of Blue Steel and attacked. Geller says that the event was attended by 200+ people. The videos I have seen show ... well, if there were more than 50 people there, I'll give you my Cadillac! If this had occured in England, the local Bobbies probably would have issued an ASBO (Anti-Social Behavior Order) on the shooters and sent them home to ponder the error of their ways.